The Keats Foundation’s Bicentenary Conference for 2019, with the theme ‘Keats in 1819: Cloudy Trophies, Quiet Power’, will be held on 17–19 May 2019 at Keats House Hampstead. Our keynote lecturers will be Dr. Emily Rohrbach, Professor Seamus Perry, and acclaimed biographer Lucasta Miller. The Call for papers will be issued early in the New Year. 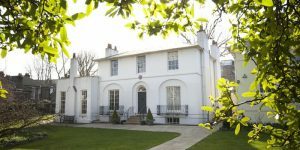 The Keats Foundation is delighted to announce its sixth bicentenary conference, ‘Keats in 1819: Cloudy Trophies, Quiet Power’, to be held at Keats House, Hampstead 17-19 May 2019. Robert Gittings’s book John Keats: The Living Year described 1819 as ‘the 365 days of a single year’ in which nearly all of Keats’s greatest poems were written: The Eve of St. Agnes, ‘La Belle Dame sans Merci’, the spring Odes, Lamia, and ‘To Autumn’. Now more than 60 years old, Gittings’s book has survived the test of time – but has our view of Keats in 1819 moved on, altered, or acquired new tones? Do we agree that ‘Ode to the Nightingale’ is incontestably a greater poem than ‘Ode on Indolence’? Was ‘Bright Star’ written in 1819, or in some other year? Was Keats’s deteriorating health somehow related to his astonishing creativity in 1819? How did his relationship with Fanny Brawne evolve across the momentous year of ‘Peterloo’? What role did Keats’s places have in the poetry of 1819? Our conference invites explorations of Keats’s life and the cloudy trophies and quiet power of his creativity throughout this remarkable year ­– and beyond it. 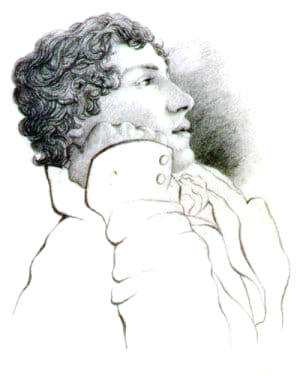 Proposals for twenty-minute papers are now invited on all aspects of ‘Keats in 1819’ – in his poetry, letters, manuscripts, life, and posthumous reputation (myths and memoirs; biographies; critical reception; creative afterlives and legacies – poetry, painting, imagined lives). Papers will also be welcomed in relation to his circle of friends, including (but not limited to) Fanny Brawne, Charles Brown, Charles Cowden Clarke, Barry Cornwall, William Hazlitt, John and Leigh Hunt, Isabella Jones, the Ollier brothers, John Hamilton Reynolds, Joseph Severn, Percy and Mary Shelley, and John Taylor the publisher. For obvious reasons, all papers should have a significant Keats dimension. Please submit 200-word paper proposals to keatsconferences@gmail.com. Please ensure that your proposal is headed with your paper title, your name, institutional affiliation, and an e-mail contact address that you regularly check. Deadline for paper proposals is Monday 4 March 2019, so please send proposals as soon as possible! Registration will open on Monday 18 March 2019. Our aim has been to keep this as simple as is practically possible. The registration fees set out below are based on the 2018 conference and are unlikely to change much when registration opens; registration covers administrative overheads, teas, coffees, wine reception and so on, for the duration of the conference. To postgraduate students and unwaged we offer a concession fee. Except for the Conference Dinner on Saturday 18 May, meals during the conference are not covered by the conference fee. Overnight accommodation during the conference is wholly at the discretion of participants. Early paper proposals and booking are recommended. If you have significant funding deadlines please alert us to these. Existing Keats Foundation supporters in year 2018-19: £115 per person. Attendees who are not yet Keats Foundation supporters in year 2018-19: £155, which includes a one-year introductory Supporter’s subscription to the Keats Foundation for the year 2019-20. Existing Keats Foundation supporters in year 2018-19: £50 per person. Postgraduate and unwaged attendees who are not yet Keats Foundation supporters in year 2018-19: £100, which includes a one-year introductory Supporter’s subscription to the Keats Foundation for the year 2019-20. Day rates will be available, and these will not include the Conference dinner. Details about day rates will be made available after registration opens. Full details about how to become a Keats Foundation supporter now can be found at https://keatsfoundation.com/support/ Supporter status will not affect consideration or acceptance of paper proposals; the decision of the conference directors will be final. Details on how to pay the conference registration fee will be made available when registration opens on Monday, 4 March 2019. The Keats Foundation is a Registered Charity in the UK (No. 1147589). 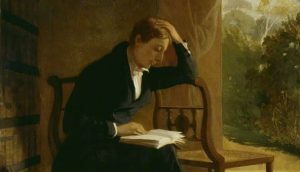 Announcing the John Keats Bicentenary Conference 2019, ‘Keats in 1819: Cloudy Trophies, Quiet Power’, 17–19 May 2019 at Keats House Hampstead. Our keynote lecturers will be Dr. Emily Rohrbach, Professor Seamus Perry, and acclaimed biographer Lucasta Miller. The Call for papers will be issued early in the New Year.